Our goal is to increase the awareness of and interest in bioinformatics at secondary schools, aiming at both students and teachers. To reach this aim we provide information, educational material and workshops for teachers. If you are interested, you can subscribe to our newsletter by sending and email to nijmegen@dnalabs.nl. This website is designed by Niels Buddiger and the content is provided by Kas Steuten. 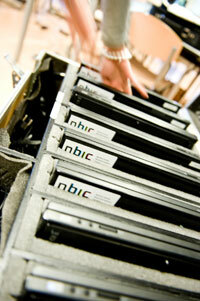 If you have any remarks or encounter any errors, please send an email to nijmegen@dnalabs.nl. Bioinformatics@school regularly hosts workshops and various other activities. Feel free to contact us for more information and the current schedule.